For CEOs wishing to fly in style, chartering a private jet is the only option. Arcus Executive Aviation has a wealth of experience in the European aviation industry, ensuring the ultimate private flight, taking care of every detail and providing superb service. Chartering a private jet means enjoying flexibility, freedom, comfort and the luxury of flying the way you want. Through the excellent contacts Arcus has established over many years, the impossible becomes possible. Safety, punctuality, reliability and discretion are integral company values. 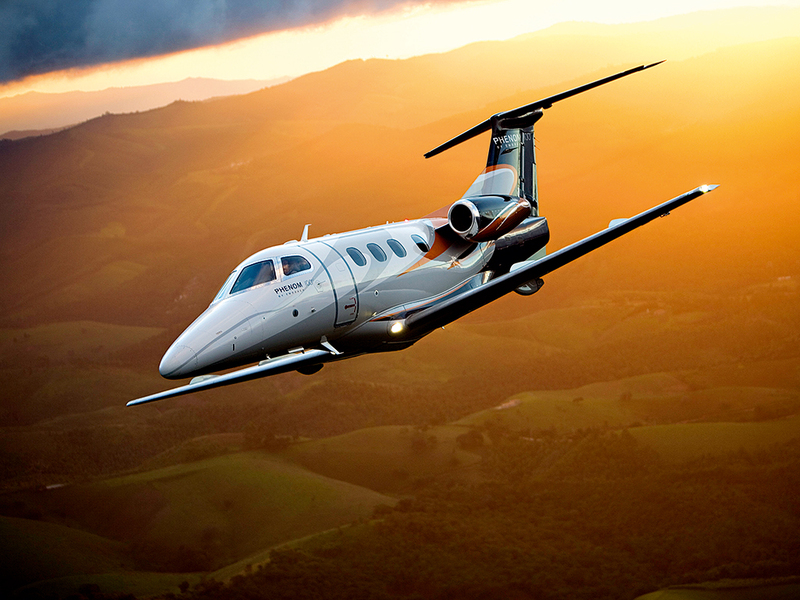 The technical features of the Phenom 100 aircraft allow Arcus to operate even in the smallest European airports. Flight changes, wasted airport time, lost or damaged luggage, and other inconveniences are all in the past. Arcus is known as a reputable provider, capable of satisfying any request, regardless of its difficulty. It operates globally, providing the highest standards of service and personalised attention, which has seen it named as European CEO’s Best Private Aviation Company 2014. With over 40 years transporting people and freight, the executive airline can be proud of its many successful years in the aviation industry. Personalities from the music world, athletes, and top business executives have placed their trust in the company to get them from A to B. At Arcus, the aim is to enable passengers to spend more time at their destination and less time on the plane. The company’s fleet can take you to small towns without the need for stopovers, offering direct flights at competitive prices. To make this possible it has assembled professionals with broad aviation experience, tailoring a service that suits your needs, with complete transparency and confidentiality. Arcus operates hundreds of flights per year and always complies with the highest standards of excellence and punctuality. The Arcus fleet is fully certified by the EU, guaranteeing maximum safety. The company’s philosophy is simple: the selection of the best team and the best aircraft and a commitment to continuous training. The company’s private jet is environmentally-friendly, with a supremely efficient engine enabling reduced fuel consumption and noise pollution. Arcus’ business jet has no competitors in its class for size and space, with room for up to five passengers and a large luggage compartment. Climbing the boarding stairs, you’ll get a hint of what awaits inside the cabin. 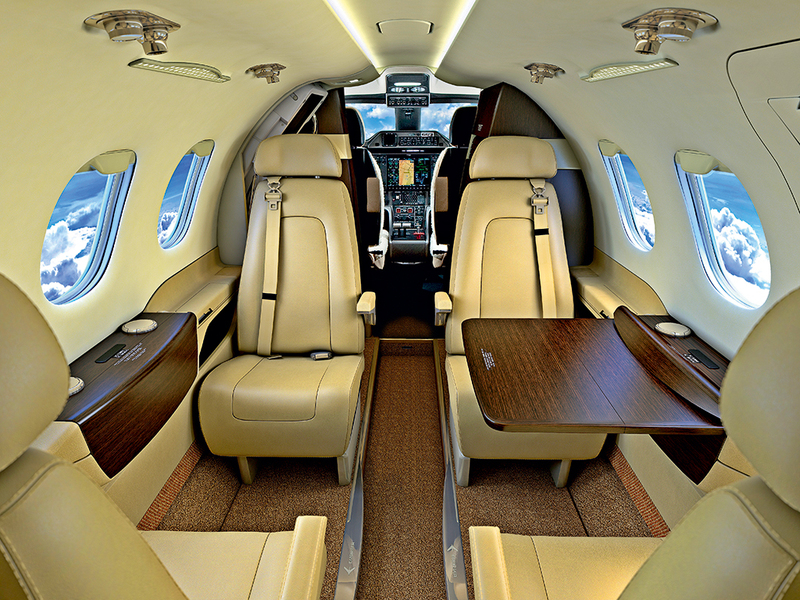 The Phenom 100’s luxurious interior, ergonomic seats and ample windows allow you to enjoy a splendid view, while its audio system provides on-board entertainment. The aircraft has dual-zone air-conditioning allowing you to travel at the perfect temperature. All these features ensure you arrive relaxed at your destination. For Arcus, exclusive means inclusive. An impressive network of partners allows the company to take care of everything down to the smallest detail, customising all services. Request any item you wish, from a simple bag of nuts to an elaborate tasting menu. Once you land, enjoy yourself while a driver takes you on to your destination in any type of transfer you request – from a conventional car service to a luxury limousine. Business professionals travelling on a tight schedule, often to niche locations, require the best service and quality. Travelling by private jet offers a completely relaxed way of flying. Forget long airport queues, don’t worry about your luggage, and enjoy the luxury and privacy of a tailor-made Arcus flight.